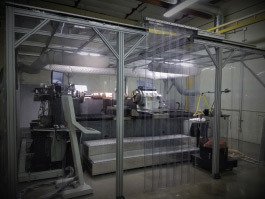 WaveFront Technology, Inc, (WFT) announces its new state of the art Diamond Turning facility, featuring our new Diamond Turning Machine (DTM) and Utlra-Precision Horizontal Drum Lathe. The only one of its kind in North America. The DTM is a 4 axis machine tool and it’s capabilities include: 1 Nanometer programming resolution, Spiral Patterning, Fast Tool Servo, and integrated Drum Metrology. 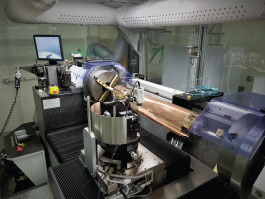 The System is capable of single point diamond machining optical faces up to 2 meters in length with a mirror finish. WFT is now fully integrated with the ability to design and originate quality microstructures to match our best in class roll to roll UV casting lines, with production capabilities up to 1.5 meters in width.